Looking for a super adrenaline rush? Play the hardest Super Mario level ever made, if you dare. 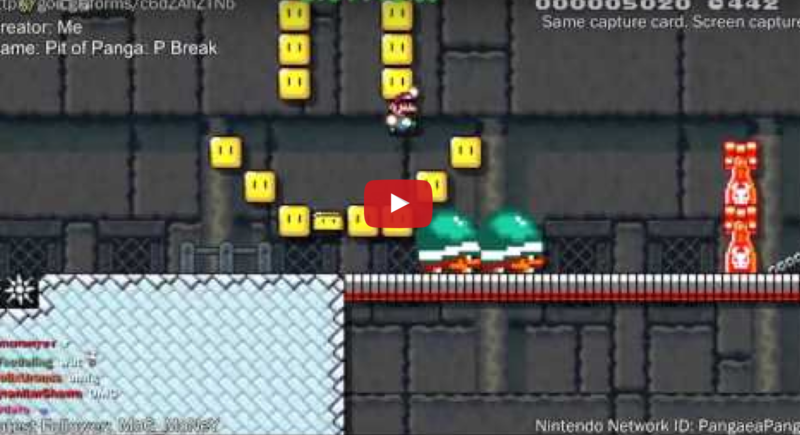 YouTube user PangaeaPanga used Super Mario Maker to create the most insane Mario stage ever. He claims that no one has beaten the level yet. After about two minutes, I think Iâ€™d give up and reach for another handful of Doritos. However, if youâ€™d like to give it a shot on your Nintendo Wii, you can with the following course ID: 6059-0000-005E-4FB5.